From this edition on, this “section” will use 4 images instead of three. The title one will be the “honorary mention”, or the image that did not make it to the top, but is great and stands above the rest. In general, it’s quite difficult to pick the best three – especially if the teams have several hundred images after the event. In most cases you would love to display Top 10 by each team! Of course, it also does not help if a team has only a handful of action photos, and none of them is shot with as much passion and talent as you would have liked. You are then tempted to use a photo of the service area, or a driver’s portrait to feature as the best of what that particular team had to offer. In this edition, I decided against such escape, and found the pic that was able to relate a story to me, and hopefully you. I’d like to remind you guys, I’m only using the photos supplied by team’s media databases, so no images from agencies or commercial sources. There are fantastic images in those, I’m sure, but this is only media database material. 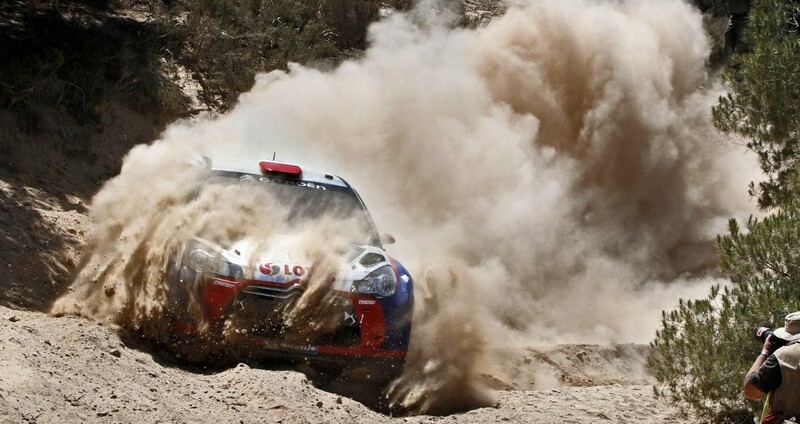 Enjoy the Acropolis Rally picks by yours truly. As always, click on the images to see them in higher format – that’s the only way to appreciate photos! Nothing says “Rally of the Gods” better than this photo. 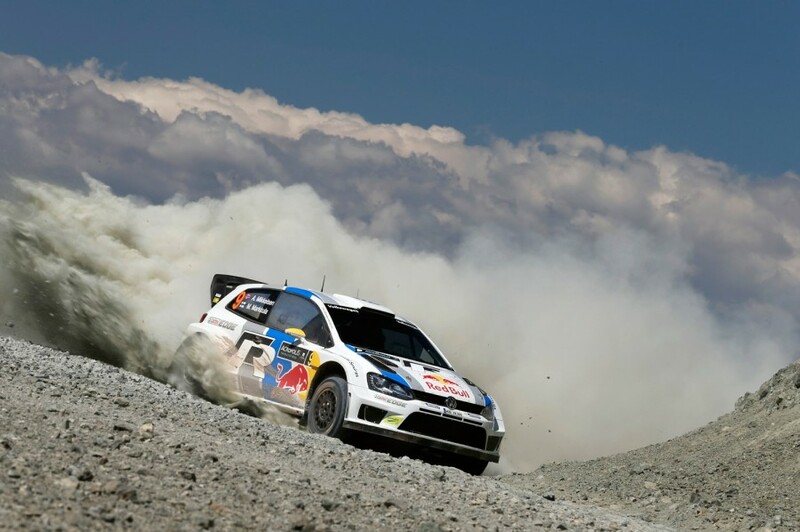 Andreas Mikkelsen in his Volkswagen Motorsport Polo R WRC. The angle was just pefect, as the gravel kicked up by the car’s wheels merges seamlessly with the clouds in the back. I wouldn’t even mind if this was done by Photoshop, idea is just that good. Of course, since the signature in this photo says “McKlein”, I could end up being prosecuted, then burned alive for even suggesting the use of the dreaded software tools in production of this masterpiece. Whoever it was holding the camera and kneeling down for this shot, my hat is off to you, Sir. This photo was in a very close competition with the title photo I used for this article, featuring Robert Kubica in his Citroën DS3 RRC. In the end, I decided to use this one, as the best from the Citroën’s media collection. I thoroughly enjoy the angle and the sweeping wave of dust and gravel, as Khalind makes his way around this bend. 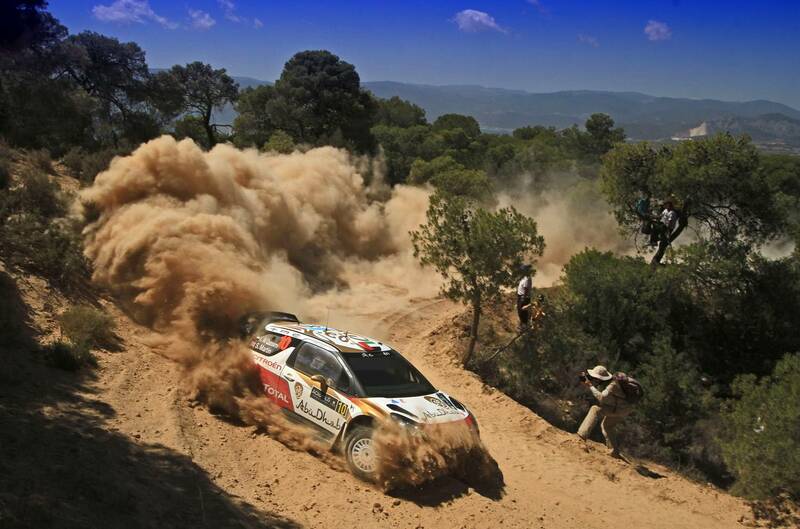 The photographer at work makes this shot even better, but the car and the infamous Greek dust are main points of interest. To me, car looks like it’s gliding over the road, in a powerboat fashion, and I like how the front of the DS3 is obscured by the cloud of dirt. Great shot, even if slightly altered. 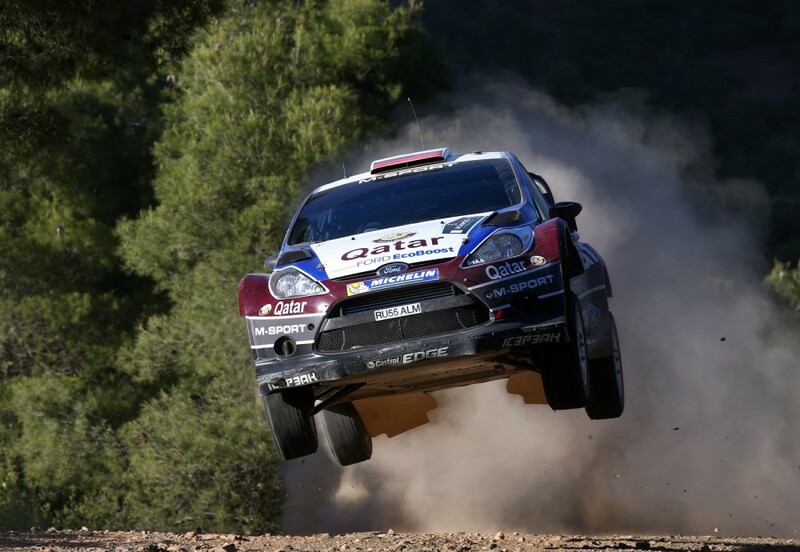 Evgeny Novikov really made his mark in Greece, and the pace he was able to display and maintain (well, for a while at least) is encouraging – if he really can keep this momentum up, Mads Ostberg could soon find himself being threatened by the Russian. You know, for the in-house title of the fastest driver in the team. But regardless of that, here’s a photo featuring Novikov and his co-driver Ilka Minor, flying high over the ground in Greece. I must admit, it wasn’t an easy pick, not because Qatar M-Sport’s collection is packed with immensely exciting photographs, but because it isn’t! Not for this rally, at least. No matter, this one is telling a good story about Evgeny, and his efforts in Acropolis. He found much of his speed recently, and he’s working hard on developing methods of controlling that speed. Once he’s done with that, we could have another winner on the grid.